Queen Elizabeth II on Monday honoured Rwandan Isabelle Kamariza with the Commonwealth Point of Light award. Kamariza becomes the 55th recipient of this award. According to the British monarch, Kamariza won this award for her exceptional voluntary service supporting patients in Rwandan hospitals. 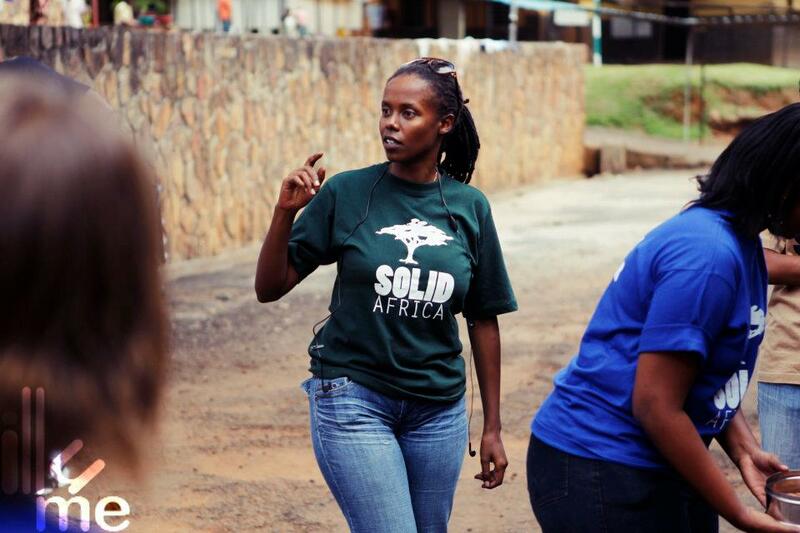 Kamariza is the founder of ‘Solid’ Africa’ which supports patients in Rwandan public hospitals. Her project runs four successful programmes providing financial assistance with medical and transport bills; water purifications systems for clean drinking water in hospitals; public health initiatives; and daily meals for patients in need or with special dietary requirements. 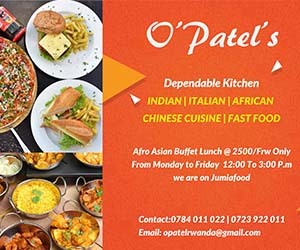 She is currently overseeing the creation of an industrial kitchen to feed 1000 patients three times a day in four public hospitals across Kigali. Kamariza passionately believes in the importance of ‘giving back’ to the community and has inspired a team of 50 young people to volunteer alongside her team. As part of the legacy of the Commonwealth Heads of Government Meeting in London 2018, Her Majesty The Queen – as Head of the Commonwealth – has thanked inspirational volunteers across the 53 Commonwealth nations for the difference they are making in their communities and beyond, by recognising one volunteer from each Commonwealth country each week in the two years following the summit. The award for Kamariza will be presented on 8th June at the UK High Commission Kigali by Jo Lomas, UK High Commissioner in Rwanda, as part of a Queen’s Birthday celebration. Mary Balikungeri, who received a Commonwealth Points of Light award in April for her work supporting thousands of victims of gender-based violence, will also be presented with her award. Kamariza said; “I am always filled with great emotions when our efforts are recognized, because even if often times I am the face of this movement, behind me is an unstoppable machine made of dozens of volunteers who were here from the beginning of this adventure and others who have joined even from other countries. I learnt about this lady two years ago at RTV. She does great staffs.She is in fact investing into people’s hearts and eventually into God’s desires. she a sign of what president Kagame once said;Bad people destroyed Rwanda,and good people built Rwanda again.Lets invest heavily into Love.To love our neighbors in the same way as we love ourselves.Speak positive issues when at home in order to shape children.Doing opposite you unknowingly planting a seed of own destruction into your own family.Once alive my father used to tell us why he and family were chased out of the their country and a large number of his ethnic.He told us how white fathers were preaching hate amongst a once one people Rwandan. Then he was telling us of the nature of hate.Hating people is a cancer,once them you hate are away from your sight,that hate eventually reverse into your own people/family/blood and bite you.And once you die,that hate spread fast and even destroy the family more.He said,before his death.Love each other in same way as i loved you. What the young lady does with all members if her team is what the Earth missing today. Help your neighbors without discrimination. God bless your work and other people can join your team me including.